Drop whatever donations you have to Resurrection School (2335 Gerritsen Avenue) or the Gerritsen Beach Fire Department (52 Seba Avenue) Anyone wishing to donate their effort may also report to those locations. Serving Utensils, Again “Can Openers”, “D” Batteries, “C” Batteries, Work Gloves, Cleaning Supplies, Brooms, Shovels, Mops, 5 Gallon Buckets, Coolers, Soaps “Bottle”, Cleaning Wipes, Towels Paper & Personal. Leave a note on your/your neighbor doors. Saying what was done, gas electric shut etc and if they are OK.
have issued a request to the New York City Office of Emergency Management, asking that Brooklyn’s Gerritsen Beach neighborhood, be reclassified as a Zone A for evacuation declarations. I have requested that OEM immediately conduct the necessary review in order that a formal change from a Zone B to a Zone A for flooding evacuation purposes be implemented. 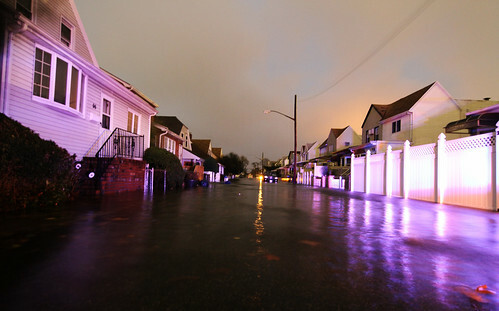 Gerritsen Beach suffered severe flooding as a result of an unusual high tide during Hurricane Sandy with almost all homes being affected. In fact, some homes were flooded at the first floor and numerous rescues had to be undertaken by first responders, and sadly a death did occur. Frankly if not for the heroic efforts of the City’s emergency responders and the Gerritsen Beach Volunteer Fire and Ambulance Corps, more lives may very well have been lost. Call your mortgage company. Some are giving 90 day moratoriums on paying the mortgage for those affected by the storm. Anyone who can not get intouch with loved ones in Gerritsen please do not fret. As of today, Monday the 5th, the power and phones are still out. Mail service has been restored since late last week so try writing. I’d advise you to send a reply envelope with a stamp and some paper along with your letter as I doubt anyone in Gerritsen has anything to write on. Hopefully power will be restored soon but even them with the level of flooding interior wireing in homes may be ruined from the salt water. So some homes may not have power for a while even after Con Ed takes care of their end. All please add us as a friend on Facebook at Gerritsen Beach Sandy Relief, as we are trying to gain support and donations alongside with the Vollies and Resurrection Church. We can now accept cash donations and we need EVERYTHING donated and all then man power we can get! All and any help is appreciated. “The city forgot about us,” said Chris Gari, a resident of Gerritsen Beach, the tight-knit community between Sheepshead Bay and Marine Park that is home to Brooklyn’s last remaining volunteer fire department. The closest official city evacuation point was distant, and most everyone’s car was dead, so when residents escaped from their flooded houses that night at low tide, or the next day, about 100 people flocked to an unofficial shelter at Resurrection Church: the most prominent church in the community, which luckily was on high ground. “The distance between where they are down there to where they want them to go to a shelter is ridiculous,” said Joe Lynch, Resurrection’s custodian and de facto manager of the shelter. Before the storm, the Vollies, as the volunteer fire fighters are known, posted on Facebook and did their best to spread the word about the church. “We were telling people if you are scared, and you have to get out, you need to come up to Resurrection,” said Garson. At 8 p.m. when the surge hit, refugees started coming in droves, either on their own or escorted by the Vollies who’d dragged them out of the muck. One church employee had to jump out of his window with his kids. “People didn’t know where to go,” said Lynch. “People were in wheelchairs, there was people in oxygen down here.” Dogs filled the hallway, and mostly got along, except for one troublemaker pit bull whom Lynch had to sequester with his family in a gated area. “I told them, ‘Oh you guys get the penthouse,’” he said. Lynch was so busy that he couldn’t leave until low tide at 2 a.m. to check on his own house: a low-lying bungalow where his cat, Jump, was still trapped inside. He opened his door to find his refrigerator floating, along with his television and kitchen table, and Jump alive but sopping. “I lived there since I was a kid,” he says. “It’s terrible. Yesterday, I was fine, but today I went and took pictures for FEMA. I said, ‘Oh man, my grandmother lived there.’” He’s going to try to make it livable again: “My biggest concern now is where are me and Jump going?” For now, he’s living in the rectory. Garson emerged to find her office flooded, and her real estate business in ruins. “It’s going to take a long time to rebuild this neighborhood,” she said. “It’s in really, really bad shape.” National Grid shut off the gas, the electricity was down and no one knew when it would come back. People were cold, and not a single traffic light in town worked. As for the Vollies, their one fire truck was in okay shape, but their ambulance was “putt-putting,” said Garson, because of salt water. The entire firehouse was flooded and then looted; they’d had to leave the doors open to get the truck out and couldn’t close them once the water came rushing in. By late Tuesday afternoon, Resurrection was completely empty again. All the refugees wanted to go back to their homes to protect them, along with elderly neighbors who were being preyed upon by some jerks knocking on doors pretending to be Con Ed employees. The volunteers had their own ruined lives to get back to. An NYPD officer stopped in to check if Garson needed anything. She had the cop’s cell phone number. “It’s not working,” he said, laughing; no one’s was. “Ah no kidding,” said Garson. “That’s why I have to go home because I have to use my good old-fashioned kitchen phone for the emergency phone.” “Your kitchen is the command center!” the policeman declared. If you need a computer to file FEMA Claims, or a place to charge your cell phone, or a place to just sit and get warm, you are welcome to come to the Byrnes Funeral Home. My son attends Brooklyn Blue Feather. Just learning it is also known as Ressurection School (2335 Gerritsen Ave). Is this building still being used as a shelter? My heart goes out to everyone. I went there this morning to drop off supplies as my 2 kids go there. The phones are still out. There are supplies in the gym and in the hallways … I don’t think there is going to be school tomorrow … although the AHRC website says there will be. I guess wait for the automated message that we usually get when there is news. Has anyone heard from Con Ed about power? I’ve heard so many mixed things. If GB is reclassified to Zone A, it will mean a 40% increase in homeowners insurance costs. But just remember this, my agent told me that flood insurance never covers basements. con ed says nov 9th they will restore power to the beach, how can this be? FOR ALL COCERND! IM So Sorry For All The Lose To All ! As my husband and I were former BROOKLYN Born & Raised ! We left Bklyn 3 yrs ago , to move in JonesTown PA ! Our Hearts & Souls Are Always There ! As we Loved Gerritsen Beach For Fishing , Eating ! looking At The Beautiful Homes ! Standing On The Beach Looking Out Of The Beautiful OCEAN ! YET FOR ALL THE FDNYBROTHERS AS MY HUSBAND WAS A FORMER FDNY 33 yrs , And My Son in Law Billy Ritter Jr. works For ( FDNY EMS ) AT Coney Island Hospital ! Over or about 15 yrs Till This Day ! There’s Always a Story or Friends He Still Says Hello To His Dad ! (Tex Ritter ) We are So SAD ALL ! THE LOSE ! We Had To Drive From PA To BKLN ( BAY RIDGE ) !As I Looked To my Right Going Over The Verrozzano Bridge ! It was Eveing time All I Could See Was Darkness ! My Heart was Weeping ! Just Knowing How Hard It Is To Get Flood Insurance ! Or Just Rebulit Gerritsen Beach ! Pleased Know You All Are In Our Prayers As We Have To Re Buit ! Also The Weather Is Getting Colder ! Hoping to have things get to EVERONE Faster ! IS DOING REALLY BAD TOO ! IM SO GLAD IT CANCELLED ! As MY SON IN LAW LOST HIS CAR TO FLOODS ! MANY LOST MORE HOMES , CARS , BUSINESS ! HANG IN THERE ! WE ALL AS AMERICANS NEED TO TAKE CARE OF OUR OWN !! Love To All Your Not Alone ! God LOVES All OF YOU ! I live in Georgia and would like to have my daughter, who lives in Park Slope, purchase some of the needed items you requested in the Gothamist article. The problem is that her only way to get there would be to take the F train, which doesn’t go all the way to Gerritsen Beach. I was thinking that you might get more donations if you had volunteers manning drop off tables at the F train terminus at Avenue X as well as perhaps the 5 terminus at Brooklyn College. Even people who have cars can’t find gas to bring relief supplies out to Gerristen Beach. Another suggestion would be to work with the local Target stores to allow Gerritsen Beach volunteer firefighters to collect donations in the Target Parking lots. I think that a lot of people who would like to help you are being stymied by access difficulties. They shouldn’t rezone GB as zone A as that will cost everybody money. People just need to accept that they need to evacuate on their own when a major storm is coming in to evacuate on their own to higher ground when Zone A’s are being evacuated. Why make the people in resurection church leave the shelter now that has been provided? Why not open PS 277 cafeteria and gym be blocked off and used as a shelter? Why was all that was donated to the Resurection Church/ Shelter being sent out on buses to other neighborhoods.Yes, the few young children, most of all get driven to school, may have to attend school on Monday. All when Gerritsen Residence who have built that school and kept them in buisiness with all gerritsen donations for years with our great grandparents being the first of parishioners. Gerritsen residence are facing things and are in a tragedy they have thought they would be in and now have there church shut there doors and send our relief else where.. These victims and yes stranded hungry cold lonely desperate residence will have to leave because why? NO room, Kids may have to attend school in some pews like the old days for a little while ???? Does anyone know John and Lorraine O’Connor? Are they ok? Please ask them to get in touch with his sisters! wish I still had my wood burning stove, I had to get rid of it two years ago because some neighbor kept harrassing my parents with snotty letters with no return address or name..
Hello Gerritsen Beach Residents. I am from Kings Park out in Suffolk County. I will be coming into your area with several friends to hand out hot soup and drinks. We will also be bringing some cleaning supplies, water and other items. If anyone would like their laundry done, my girl scout troop will collect your clothes, wash, dry and fold them for you and return them on Monday. I am going to contact the Fire Dept. to see where we can set up our station. If there are any elderly residents that cannot walk to where we will be, please bring us their address so that we can go to them. We have not forgotten you!! Hello Gerritsen Beach Residents. I am from around the Columbus area in Ohio. A group of us will be traveling down to deliver nonperishable items in November 20th. We are making two stops; one is Staten Island and one in Brooklyn. I will be making one more trip to the store to buy things with monies people have donated. Anything specific in your area? I saw can openers, cleaning supplies, water, plastic ware, and batteries. I know currently we have collected over 8,000 lbs of H2O, baby essentials, clothing, food, and loads of other stuff. Just wanted an idea if there is anything we are missing?????? Can anyone tell me if they had their gas shut off. I called national grid and they said that I needed to get a plumber to have it turned back on. I know other people flooded up to the ceiling covering the gas meter and they have gas, heat and hotwater without national grid never turning off their gas. Fema gave me nothing because I have flood insurance who have not even paid a dime yet, neither has homeowners insurance paid. I am so discusted I thought at least I could turn on the stove at least but after 2 weeks we have NOTHING and no money to get the stupid plummer they insist I need.